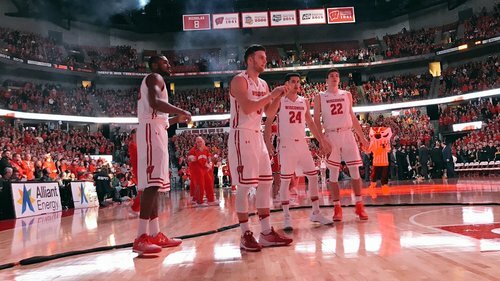 Bracketology /1/ - ESPN (Lunardi) has UW as a 6-seed in West (Milwaukee) vs. play-in. 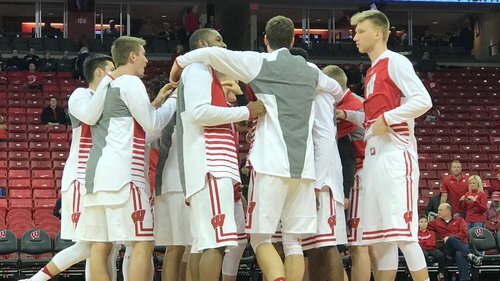 Bracketology /2/ - CBS Sports has UW as 6-seed in South vs. Providence. Bracketology /4/ - NBC Sports has UW as 6-seed in West (Greenville) vs. Xavier. Bronson and Ethan getting loose. 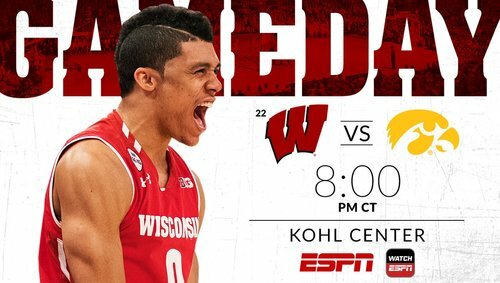 #Badgers take on Iowa at 8pm (CT) on ESPN. 1 hour from tip. You ready? Officials for #Badgers -Iowa: Terry Wymer, Pat Driscoll and Donnie Eppley. Jordan Bohannon's next 3-pointer will give him 69 on the year. Older brother Jason made 68 as a Wisconsin Badger his senior year in 2009-10. Match-up thoughts: Does Iowa have a guard to disrupt #Badgers Koenig all night? Don't think so. Will Iowa zone at all? I think if Iowa zones #Badgers it will be a mistake, unless man D isn't working. I expect Brown to hit some shots. Getting the shots up ???? 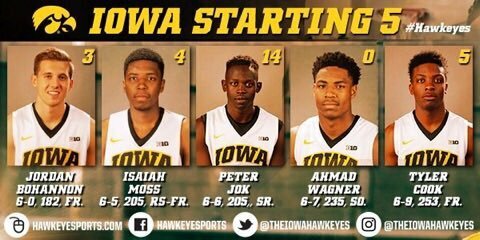 Iowa starting five - Ahmad Wagner, Jordan Bohannon, Isaiah Moss, Tyler Cook, Peter Jok. 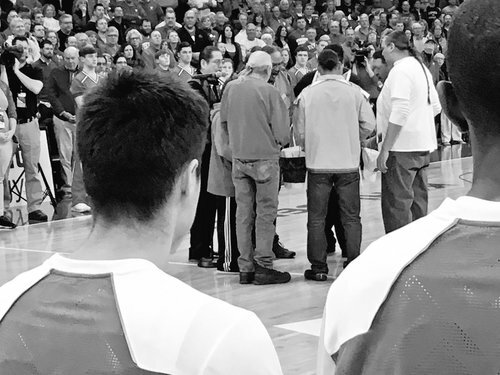 Nice touch for #Badgers Koenig as members of Ho-Chunk Nation performed before National Anthem. Welcome to March hoops. ???? Iowa with 3/4 court pressure early. UW breaks it and gets a three. Zak Showalter leads the #Badgers shooting 43.1% from 3-point range during B1G play. Badgers break more Hawkeye pressure for an easy jumper. Jordan Bohannon with a filthy bounce pass to Tyler Cook for an uncontested dunk. 7-6 UW. Tyler Cook with two big time slams in the first three minutes of the game. #Hawkeyes ???? #Badgers up 7-6 at the first break. UW 3 of 6, Iowa 3 of 7. #Badgers 1-4 from 3 but 3-6 overall for a 7-6 lead with 15:34 left. Showalter 1-3 from 3. #Badgers Hayes and Happ each have a TO in the lane. #Badgers Showalter shadowing Jok, who is 0-1 shooting. Wisconsin holds the early lead over Iowa here at the first timeout in Madison. Showalter leads #Badgers with 3pts. Wisconsin managing Iowa non-brutal-hacking pressure but the jumpers aren't falling.